Scientists at the University of York in the UK have shown that the way we speak to our canine friends is important in relationship-building between pet and owner, similar to the way that “baby talk” is to bonding between a baby and an adult. The research paper was published in March 2018 in the journal Animal Cognition. A release from the university notes that speech interaction experiments between adult dogs and humans showed that so called “dog speak” improves attention and may help humans to bond socially with their pets. Previous studies on communicating with dogs had suggested that talking in a high-pitched voice with exaggerated emotion, just as adults do with babies, improved engagement with puppies but made little difference with adult dogs. The release quotes Dr Katie Slocombe from the University of York’s Department of Psychology as saying, “A special speech register, known as infant-directed speech, is thought to aid language acquisition and improve the way a human baby bonds with an adult. This form of speech is known to share some similarities with the way in which humans talk to their pet dogs, known as dog-directed speech. Unlike previous experiments, the research team positioned real humans in the same room as the dog, rather than broadcasting speech over a loud speaker without a human present. 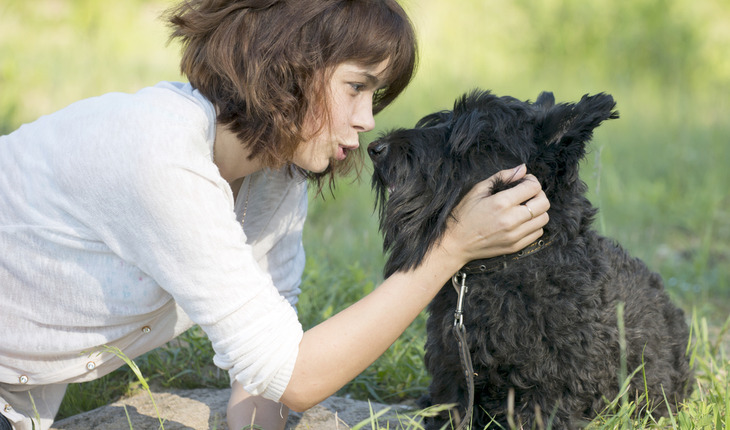 This made the set up much more naturalistic for the dogs and helped the team test whether dogs not only paid more attention more to ‘dog speak’, but were motivated to spend more time with the person who had spoken to them in that way.